Looking for deals in Paris? Le Tsuba Hotel is located in Paris's 17th arrondissement, just a 2-minute walk from the Arc de Triomphe and the Champs Elysées Avenue. It boasts a fitness centre and a sauna. Great hotel in every topic! Amazing staff; very nice room, great bed and shower, very clean and confortable, it likes as a brand new hotel. Close by to atractions such Arc deTriomphe and easy acess to all others. Situated 700 metres from Louvre Museum in Paris, Maison Albar Hotels Le Céline offers free access to its indoor pool and hot tub. The hotel also features a spa centre accessible at an extra cost. This was the best hotel in Paris where we have even been! Service was amazing and stuff were so kind. Rooms were clean and everything was just perfect in this hotel! I am Happy to recommend this hotel! We definitely come here next time! Situated in Paris, 1.7 km from Paris Expo - Porte de Versailles, Jardins de Mademoiselle Hôtel & Spa has a number of amenities, including a fitness centre, a spa and wellness centre and free WiFi. The overall hotel, facilities and location are excellent. Featuring a bar, Hôtel Montecristo is set in Paris, 1.9 km from Notre Dame Cathedral. The property is around 2.5 km from Opéra Bastille and 2.8 km from Pompidou Centre. The room was comfortable, functional, clean, espresso, water and bath accessories were provided. Set in Paris, a 15-minute walk from the Champs Elysées, Le Belleval was designed by the famous architect Jean-Philippe Nuel and offers a fitness centre, a sauna and garden. The hotel's location is just amazing. The staff was very friendly. Offering a swimming pool, a sauna and a hammam, Hotel Eiffel Blomet is situated in the 15th arr. 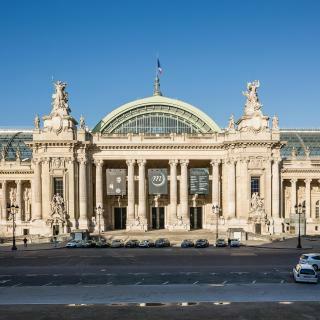 District in Paris, 1.6 km from Paris Expo - Porte de Versailles. Guests can enjoy the on-site bar. The entire staff was top notch. Very friendly and helpful. Hotel is completely new after redesign. Hotel Whistler is located in the 10th arrondissement of Paris, 1.2 km from La Cigale Concert Hall and in between Gare du Nord and Gare de l'Est train stations. Attention to detail, very friendly. Theme of the hotel makes it very adorable. Located 200 metres from the Louvre Museum, Drawing Hotel offers contemporary accommodation with an on-site art centre and a bar. Free WiFi is available. THe great helpful staff, and the cleanliness , the artistic look and feel, and the location ! Situated 3.6 km from Opéra Bastille, Urban Bivouac Hotel is set in the 13th arr. District of Paris. This 3-star hotel offers a 24-hour front desk. The staff were very friendly and tried their best to communicate in English. Apollon Montparnasse is located in Paris, 500 metres from Montparnasse Train Station. Each room at this hotel is air conditioned and has a flat-screen TV with satellite channels. The staff at this hotel are wonderful. Absolute Hotel is located in Paris, on the edge of the trendy Canal Saint-Martin, 300 metres from Place de la République and 1.5 km from Pompidou Centre. It features a 24hour/7 reception. the comfort of having our own bathroom allowed for our stay to be a home away from home. Hotel De L'union offers accommodation in the 20th district of Paris. All of the rooms feature parquet floors, minibar and free WiFi access. The breakfast, room environment and facilities were nice. Hotel des Pyrénées is located in Paris 20th district, just 60 metres from Pyrénées Metro Station and 400 metres from Parc des Buttes Chaumont. Free Wi-Fi internet access is available. I like the staff and the hotel was real value for money. I also liked that the room had a fridge. Located in Paris, 500 metres from Opéra Garnier, Ritz Paris boasts a selection of bars and restaurants, a fitness centre and a spa and wellness centre which includes a pool, sauna and massage... For the first time I wasn't disappointed with anybody working there. Located in a pedestrian street in the centre of Paris, Hôtel Le Relais des Halles Paris is 500 metres from the Georges Pompidou Museum. Very convenient locating in the city, near the most famous places of Paris. Set in 5th arrondissement of Paris in the latin district, between the Jardin des Plantes and the Notre Dame Cathedral, Hotel Monge offers air-conditioned rooms and free WiFi throughout the property. Just perfect! We visit 4 times x year Paris for work and Hotel Le Monge is always our choice! TOP! Located in the 11th district of Paris, Hôtel Fabric is a former textile factory that now functions as a hotel. The hotel staff were awesome and most helpful. What hotels in Paris offer an especially good breakfast? For hotels in Paris that serve up a highly-rated breakfast, try Ritz Paris, Hôtel du Rond-Point - Esprit de France and 1er Etage SoPi. What are the best hotels to stay in Paris? Le Tsuba Hotel, Hôtel La Nouvelle République and Hotel 34B - Astotel are some of the popular hotels in Paris. How much is a hotel in Paris for tonight? On average, it costs ¥13,856 per night to book a 3-star hotel in Paris for tonight. 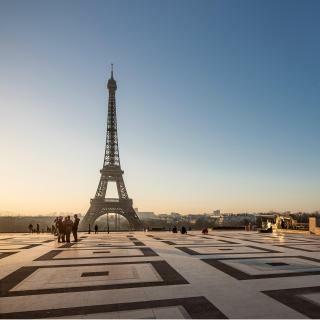 You'll pay on average around ¥20,531 if you choose to stay in a 4-star hotel tonight, while a 5-star hotel in Paris will cost around ¥54,120 (based on Booking.com prices). What hotels in Paris have nice views? Goralska Résidences Hôtel Paris Bastille, Fauchon l'Hotel and Maison Lepic Montmartre have received great reviews from travellers in Paris regarding the views from their hotel rooms. What hotels in Paris are good for couples? These hotels in Paris are highly rated by couples: Ritz Paris, Hôtel du Rond-Point - Esprit de France and Le Meurice – Dorchester Collection. How much is a hotel in Paris for this weekend? The average price per night for a 3-star hotel in Paris this weekend is ¥29,091 or, for a 4-star hotel, ¥43,327. Looking for something even fancier? 5-star hotels in Paris for this weekend cost on average around ¥109,772 per night (based on Booking.com prices). What is the best neighbourhood to stay in Paris? 1st arr., 2nd arr. and 3rd arr. are popular with other travellers visiting Paris. How much does it cost to stay in a hotel in Paris? On average, 3-star hotels in Paris cost ¥15,098 per night, and 4-star hotels in Paris are ¥24,392 per night. If you're looking for something really special, a 5-star hotel in Paris can on average be found for ¥64,180 per night (based on Booking.com prices). What are the best hotels in Paris near Eiffel Tower? Some of the best hotels in Paris near Eiffel Tower include Relais12bis B&B By Eiffel Tower, Derby Alma and Appartment - Tour Eiffel. Which hotels in Paris are good for families? Many families visiting Paris loved staying at Maison Lepic Montmartre, Hotel de Crillon and Ritz Paris. What are the best hotels in Paris near Paris - Charles de Gaulle Airport? Travellers who stayed in Paris near Paris - Charles de Gaulle Airport (CDG) have said good things about Sheraton Paris Roissy Airport, Novotel Paris Charles de Gaulle Airport and Pullman Paris Roissy Cdg Airport. A symbol of love and the most visited city in the world, beautiful Paris indeed has it all! The romantic cafés of Montparnasse, lively bistros of the Latin Quarter and high-fashion luxury stores of Champs-Élysées are just waiting to be discovered. Admire the views from the iconic Eiffel Tower, have fun at Disneyland or enjoy the artistic atmosphere of Montmartre. Make sure you visit the Louvre to try shaking hands with Venus de Milo and solve the mystery behind Mona Lisa’s smile. In the evening, the famous Moulin Rouge offers exciting cabaret shows and the 19th-century Opéra Garnier welcomes you to sink into its lush seats. 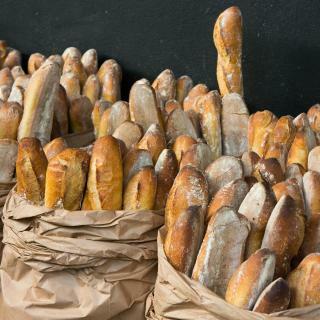 The renowned French cuisine is served in countless Parisian bistros, restaurants and brasseries! 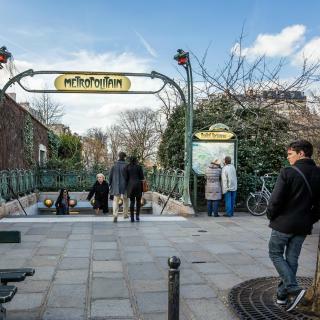 Thanks to the city’s great public transport system, it doesn't matter if you’re travelling from Orly or Charles de Gaulle International Airports, since all major attractions are within easy reach. Whether you’re looking for a room with a Notre Dame view, a design hotel with chic interiors or a comfortable apartment, Booking.com has something to fit all your holiday needs. Paris was amazing and all the sites were definitely worth seeing. The metro is confusing at first but once you pick it up you'll be able to travel all around the city for cheap prices. The food is lovely and there are many cafes to try out. I stayed at Hotel Monceau Wagram. There were friendly staff however the room had wallpaper peeling off and a weird smell and I'm glad I could travel around Paris to avoid staying in there. They also overcharged me for no apparent reason so I would only recommend staying there for it's location to the Arc de Triomphe and Ternes Metro, not for comfort. As long as you're staying out of the hotel for most of the time except to sleep it's average enough. But Paris itself was better than expected. Notre Dame and the Eiffel Tower I have always wanted to see and they did not dissappoint. Paris is full of interesting places, buildings and parks. Walking the wide vibrant streets of Paris is a joy. The Metro system is great for getting places and very cheap. Food away from the main attractions was very good and reasonable in price especially the Indian Restaurant close to the hotel. Hotel Des Batignolles is a lovely place to stay, it is very clean and comfortable. The staff are very helpful and friendly. Bedroom needs a mirror and tea and coffee facilities. I would stay again. Having travelled to Paris previously whereby I saw and visited all the major 'tourist attractions' (including Monet's Garden and Versailles (which are both worth seeing, however, a day trip out of Paris), I ventured off the beaten track a little this time and booked a group of local guides (very French) and saw the local hidden sights.... The secret passageways, Montmarte, Macaroon cooking school (and I did the Louvre again because you just can't over-do the Louvre) and I went to bars and restaurants and cafes that the 'locals' haunt. It was a different experience and one that introduced me to so much more than previously. I actually did not even walk the Champs Elysse! 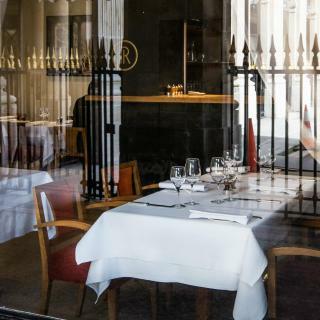 I stayed in the Marais District (4th Arr)- so French indeed - and found that I walked to so many gorgeous little restaurants (try Chez Julian, Ralph Lauren Cafe) and fashion boutiques that most tourists would not frequent. I also stayed in a little boutique hotel with a Bar next door (normally I choose the grand 5 star style) and it was a really lovely experience to chat to all the staff each day and have a drink with the other guests in the Hotel (only 8 rooms in the Hotel). I recommend this style of visit to Paris if you have already ticked the major attractions previously and you want to experience another side to Paris. We stayed in the Latin Quarter for the first half of the trip. Our Hotel had lots of atmosphere. It offered, as expected, very small bedrooms but, very clean and extremely comfortable beds. The 6th arr. is a wonderful location, offering you great restaurants such as the 'Aux Pres' which is a bistro style restaurant offering excellent food! The location is easy to get around to the many places, such as the galleries.. The Bon Marche Store and gourmet food hall is well worth a visit.. for those who like to see where the Parisians also love to shop. Our second half of our trip we moved to a hotel in the 8th arr. very close to all the high end stores and restaurants etc. Again to stay in a great hotel to experience the luxury end of accommodation. The Grand Hotel Du Palais Royal was a perfect choice for our few days in Paris, The room was spacious and beautifully decorated in keeping with the understated and chic decor of the entire hotel. Staff were very obliging and cheerful. Position of hotel great for sightseeing, adjacent to Louvre and metro. Perfect hotel and location to explore the city. Fabulous. The Hotel Tourisme Avenue was perfect for our long weekend in the vibrant French capital. Our welcome on arrival couldn't have been warmer and we were spoken to in perfect English on confirmation this was our preferred language. We were given complimentary maps and codes for the wifi , and when we arrived at our room it was immaculate. Lovely comfy bed, nice size bathroom with large shower and separate toilet with electronic bidet facility and the luxury of a heated seat!! Breakfast was great with all the usual continental items available. croissants, French bread, cold meats, cheese fresh fruit and yoghurt. Also a toaster available and the facility to cook your own 'boiled ' egg in a water bath or request an omelette which was cooked for you. fresh coffee, tea or juices readily available. The staff couldn't have been more helpful and always gave us a cheery greeting or goodbye as we passed through reception. Boarding passes were printed for us on request , and also a laptop computer was available to use for a nominal fee. Hotel ideally placed to explore with a metro station within 50 metres of the hotel. The Eiffel Tower is just a 15 min walk away and there are numerous bars restaurants and shops on the same street. All in all our stay couldn't have been better and we would highly recommend this hotel . We will be back. The beds & pillows were so comfortable that I did not want to wake up!! The location was excellent and the staff were amazing. Very helpful with recommendations & helped with booking our train from Paris to the South of France. They also took our bags to our rooms for us & made us feel welcome from the time we came thru the hotel doors. My daughters & I will continue to book into this hotel on our future trips. We love this boutique hotel! Friendly and helpfull staff, good location close to the metro and walking distanse to the bastille (apr 30 minutes) many nice restaurants close by. A bit small but quite ok room for the price. Breakfast optional. Got a room away from the street which Was very quiet. A good and cheaper option if you know Paris a bit from earlier, don’t plan to spend more time in the hotel than to sleep and don’t want to stay in the middle of the more busy and touristy areas. Close to the major sights. Close to the metro, allowing access to the city without limits. Being a New Yorker its important to have free reign to the city and the property location allows for that. The staff was attentive and sensitive to my needs as I had to extend stay for one night because of the Air France strike. Elisabeth and Christine are angels! The bath room and room were immaculate . My trip with my mother to Paris was fabulous! The position is just perfect despite the fact that it’s not in the city centre - it takes 20 mins to reach Hotel de Ville. The structure is quite old (which make it real parisien!) but everything is clean and working. The staff is very nice. Restos and bars just downstairs and around the hotel. Price is very honest comparing to most structures in Paris. Very nice stay! 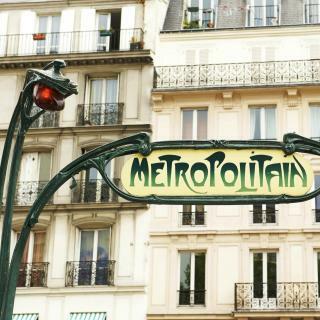 This hotel is only a short distance from the Metro and the train to CDG. They are high tech, welcoming, friendly, helpful. They ask ahead what you need and try to anticipate. This was our second stay at this hotel and though a brief transit stop on our way elsewhere in France, it was very easy and comfortable. I will never stay anywhere else in Paris. We splurged a bit on our last night in France and stayed in this very nicely appointed hotel with friendly staff who also speak English (my husband doesn't speak French). The room was very comfortable (with adjustable AC) and had a beautiful view of Notre Dame and the Seine. The location makes it a perfect base for exploring Paris. Hotel Gerando was a nice hotel considering that the room rates I got was a bit cheap. Location wise is very accessible to Gare du Nord station and very near to Sacre Cour, one of the few attractions to see in Paris. Metro stations are very accessible as well. 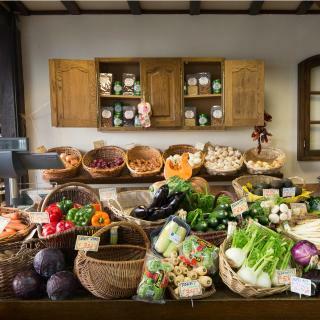 A number of restaurants are near the hotel and as well convenience stores. The hotel is located in a very nice area. Full of expensive shops if you like shopping. Staff are friendly and helpful. The hotel is clean. Will definitely stay at this hotel the next time I am back in Paris. Nice restaurants to eat around the hotel. Paris is not cheap to eat or drink. But had a lovely time. Cheap compared to most hotels in Paris. Everything was very clean. The staff is very nice and helpful. Great location, close to the metro and busses. Option for breakfast in the hotel, but also many breakfast (and places for dinner, and supermarkets) nearby. The staff was amazing with us, specially Nico who gave us a map and explained the best and cheapest way to know Paris. The hotel is located in a very good and strategic place with 2 subway stations nearby. The hotel is close to underground which is the most important thing to travel in Paris. And its the cheapest hotel I’ve checked before going one week if compare with the others closer one. 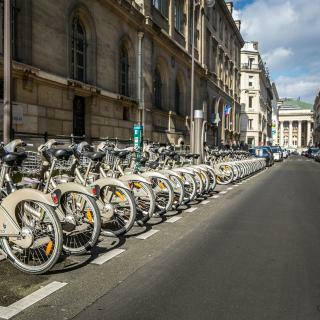 The hotel is in a easy acess location to many point of Paris because its right infront of the Metro station and Train station if you want to get to other places in France. Excellent location, Metro entrance within a hundred meters. Room was small but comfortable. Well-stocked minibar. Cheap for a 3-star hotel in Paris. nice staying in Paris one of the best hotel for a moderate budget. Cheaper than most Paris hotels. Nice canal view.